No other animal causes more distress and fear in people than BATS. Their droppings and urine are highly acidic and damaging to paint and siding. 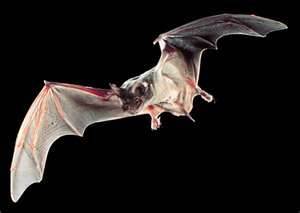 Like birds, bat dropping can also harbor dangerous spores that once dry and airborne can be inhaled by people and pets and cause life theatening diseases. 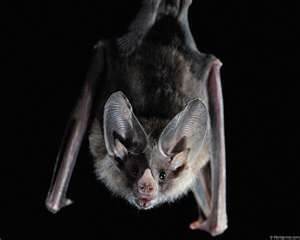 The one disease that sets bats apart from birds is that approximately 1% of all bats carry rabies. 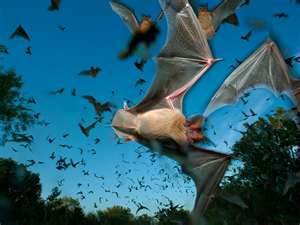 A recent study in LiveScience.com dated 2/6/2013 also determined that bats can carry over 60 directly transmissable human diseases. 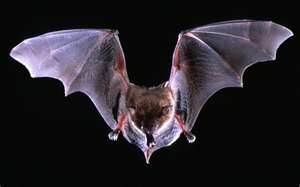 Bats emanating from loose fascia boards, eave vents, fireplace mortar, or anywhere along the construction of your house is a pretty good indication of a "roost" or colony of bats that have taken up residence in your home. Some roosts are year round, some are summertime or maternity roosts, where young are reared. A female bat will give birth to one live young. After a nursing period of a few months, the young bat will be able to fly and feed itself. Bat removal is not allowed between April 15 to August 15 due to the possibility of separating adults from baby bats not able to fly yet. Bat control is extremely knowledge sensitive and not to be undertaken by most homeowners and or novice wildlife removal people. Ace offers professional bat removal and exclusion services based on decades of successful bat removal and exclusion operations removing bats from small homes to large multi story commercial buildings. In most cases, a bat infestation can be verified by our Ace technicain with an exterior inspection. ACE SERVICES OFFERS BAT REMOVAL, BAT PROOFING, AND BAT EXCLUSION FOR BLANCHARD, BOSSIER CITY, BENTON, DOYLINE, ELM GROVE, GREENWOOD, HAUGHTON, KIETHVILLA, MINDEN, MOORINGSPORT, SHREVEPORT, STONEWALL AND SURROUNDING AREAS. BAT ALERT!!! BAT ALERT!!! BAT ALERT!!! WE HAVE HAD MANY REPORTS OF BATS NESTING INSIDE HOMES AND STRUCTURES. IF THIS HAPPENS AT YOUR HOME OR BUSINESS CALL IMMEDIATELY, YOU MAY HAVE A BAT COLONY SLEEPING IN YOUR STRUCTURE! bats flying around your house? finding stains dripping above windows? finding bats in your attic?